Elias has been at Blackcliff Academy since he was a small boy, taken from his tribal home and sent to train to become one of the Empire’s elite servants, a Mask. He is about to graduate but what he’d much rather do is desert, if only he can shake the watchful eye of his best friend Helene. Laia is a Scholar, living with her grandparents and keeping out the way of the Empire. That is until her brother, Darian, is caught with a sketchbook containing Empire secrets. The night a Mask takes Darian prisoner, Laia is left desperate to save the only family she has left, even that means taking on a dangerous mission for the resistance. A mission that takes her into the heart of Blackcliff. 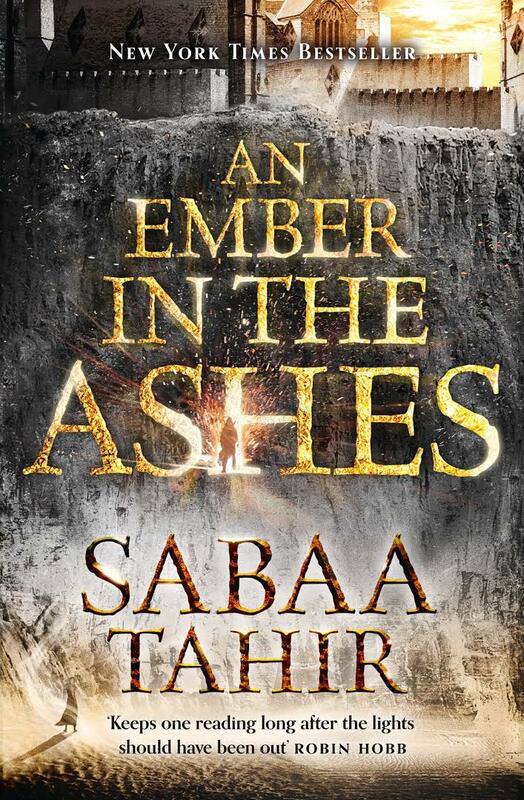 When I first heard about An Ember in the Ashes, I wasn’t sure about it, thinking it sounded either like it would be too violent or just be another clichéd romance with an interesting setting. Well, how wrong I was because I loved it. I mean, the world is quite brutal and unforgiving but the story was so compelling and it really was not romantic at all. At least with putting it off so long, now I don’t have to wait for part two! I feel like a hunted, craven animal, which is exactly how the Empire sees me – how it sees all Scholars. The Martial Empire is roughly based on the Ancient Roman Empire, with the emperor at the top and slaves at the bottom. It has conquered many lands and stripped the people of their cultures and their freedoms. Scholars are not allowed to learn to read, denying them the knowledge they were once so proud of. The military is wielded to keep people in line, with the Masks dispatched for the most serious criminals, well serious in the eyes of the Empire. The Masks all train at Blackcliff, being chosen from a young age by the Augers and sent to the school until they graduate or die. The path to graduation is not easy, and many don’t make it. For such a violent and unfeeling group of people, you end up with a lot of sympathy for the by the end. Even the Augers have hidden depths, and not just their mindreading skills. I’ve hated the mask since the day an Augur – an Empire holy man – handed it to me in a velvet-lined box. I hate the way it gloms on to me like some kind of parasite. I hate the way it presses into my face, moulding itself to my skin. There is so much world-building but it never feels like it is info-dumping it. The history, myths and social structure is all interwoven with the story. The narration alternates between Elias and Laia keeping the plot trotting along at a fast pace. There’s some supernatural elements, but it’s kind of the same level as Game of Thrones, where it takes backseat to the social and political struggles of the people and their world. Such foolish hope, to have thought that despite being raised to violence I might one day be free of it. The characters are complex too. They all have a selfish desire and nothing is ever solved that easily. They grow and become multi-faceted, and I really wasn’t sure where it was heading until the climax. The title refers to the fact the two characters are catalysts to something bigger, a small act can’t turn into something huge. We’ll have to wait to see what that is… I’m looking forward to getting my hands on A Torch Against the Night anyway. 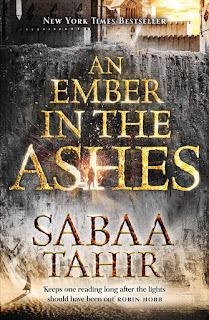 Glad to see you enjoyed this book - I still haven't had a chance to pick up Torch against the Night yet but its a sequel Im really looking forward to. get review!